I had a great time this past week dropping in on a few collected classes’ worth of marketing students at Providence College. I was asked by good friend and former client Ed Gonsalves to talk a bit about how Social Media and Mobile has changed marketing in recent years. While marketing isn’t necessarily a core interest of mine, I’ve been involved in it in one way or another fairly constantly over the years. I think it’s actually hard to NOT be involved in some way when you work as a design and strategy consultant. 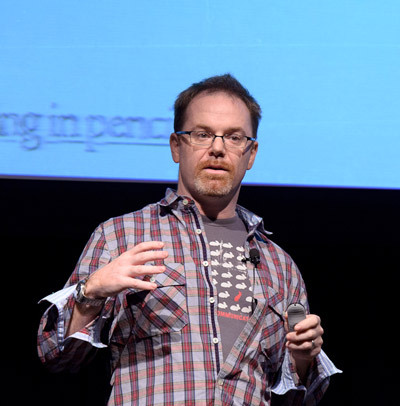 video for my web strategy talk from #FOWD NYC 2010! You can find the slides for download here as well. I need to write more about my experiene at #FOWD this year - because it really kinda blew my mind. It’s a rare thing indeed to go through two days of sessions at a conference and have not a single dud. Seriously - and I could easily have sent a clone to a few more. Just an amazing bunch of speakers who all clearly spent a TON of time on their presentations and were as generous with their time and knowledge off the stage as on it.